Send out admission registration forms and forgot the old process where the student needed to collect admission forms and the office staff had to fill in details for every student. 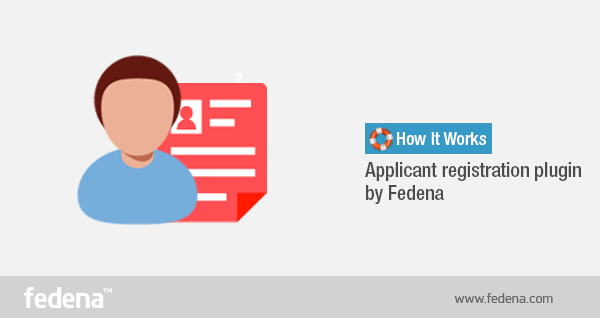 Use Applicant Registration plugin by Fedena School ERP. This plugin makes the entire registration process way easier. All you need to do is publish the URL of the registration form on your website, where student can go directly and fill up their registration form. Read the article to know how this amazing plugin by Fedena School ERP works. Go to ‘Applicant Registration’ through ‘More’ in dashboard and clicking on it will take you to the ‘Applicant Registration’ page. Click on ‘Add Course’ and you get a page where you need to fill in all the details for ‘Add Course’. Fill in all the necessary details in the boxes and once you are done, click on ‘Create. Once the course is created, it will come in the ‘Enabled Courses’. There are options to ‘Inactivate’, ‘Edit’ and ‘Delete’ by each of the course name. For the student applying for this type of registration, don’t require any username and password for login. Instead, they have to click on the url provided by your school (www.yourschool.com/register) that will take them directly to the respective page. Students have to select the course and fill in the form. When the student submits the form, the admin has to login and select the ‘View Applicants’ option. Once selected, the “View Applicants’ option will land in the ‘Applicant Registration Settings’ page where the admin need to ‘Allot’ or ‘Discard’ the applicant. Once the student is selected, the name will be showing up in the respective batch selected. Fedena school ERP software works on a plugin architect which allows you to customize Fedena exactly the way you want. Try free Fedena demo today!